In this ongoing historical moment it is easy to exclude utopianism from the conversation around radical action as a naive, unjustifiably optimistic distraction. However, as activist organisations around the world recognise, to demand a better, more utopian world is, in such circumstances, neither distraction or escape, but instead forms a moral and political imperative. Utopian Acts will be a one-day conference and festival concerned with investigating contemporary efforts to create new worlds and effect positive change within the fields of activism, art, and academia, whether or not this work is understood as explicitly utopian. By naming this event Utopian Acts​, the organisers invite an interrogation of utopianism as produced by, and included within, radical action of various kinds. Ultimately, the event will be aimed at collapsing, disturbing, and making porous the boundaries between the avowedly abstract work of academia and the apparently concrete work of activism and art. Proposals are invited for contributions to this event, to be submitted by Friday 29th June 2018. Visit this page for more information. More details on the organisers of the conference are available here. Utopian Acts is supported by Birkbeck Institute for the Humanities and the Centre for Contemporary Literature. 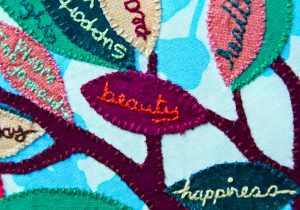 Image from Craftivism Collective, used under a CC BY-NC-ND 2.0 licence.